The classic Hollow Earth Expedition GM Screen allows Gamemasters to hide their notes, maps, and dice rolls behind a beautiful, 4-panel spread of the original cover artwork. Inside are the most useful charts and tables from the Hollow Earth Expedition core rulebook so that Gamemasters will always have the information they need right at their fingertips. 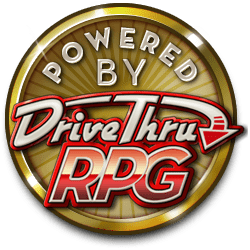 Note: This screen is set up to work with the PROFILE version of the DriveThruRPG Game Master Screen (by Hammerdog).